BOISE — It's passed the House, and now the Senate will vote on a bill to clarify who can dispense and administer the opioid overdose drug, Naloxone. Current legislation poses potential liabilities, so this bill is an effort to put healthcare systems at ease. The current law states that any “prescriber or pharmacist” may prescribe and dispense Naloxone. "When somebody has overdosed on opiates, narcotics, heroin, Oxycodone, Oxycontin, there's one drug that will reverse those effects that we use frequently, and that's Naloxone," said Jeremy Schabot, Battalion Chief for Ada County Paramedics. 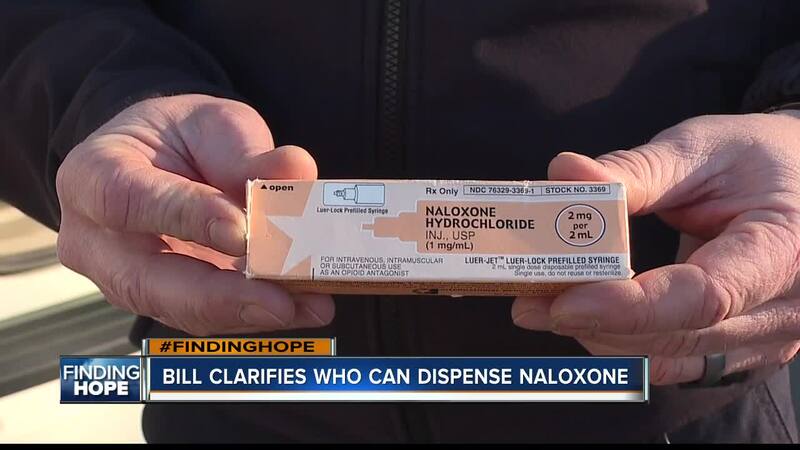 Naloxone is a medication used to counter the effects of an opioid overdose, and it’s highly useful in the midst of an opioid epidemic; with around 70,000 overdose deaths in the United States, just last year. "We have given it to more first responders. Law enforcement are utilizing it now, in the recognition that we have a huge problem," said Schabot. And in order to combat the problem, Idaho lawmakers legalized the possession and administration of naloxone by a regular person in 2015. "The way that the language in the original bill was written, caused a couple of large healthcare systems to question whether or not there was a limited liability associated with that," said Idaho State Representative, Fred Wood. That 2015 bill states that any "prescriber or pharmacist" may prescribe and dispense the life-saving drug, but to reduce any concerns regarding potential liability, Wood brought House Bill 12 to the floor in 2019. "All it did was change the language and make it very clear that people who did not have prescriptive authority could become, in effect, Naloxone ambassadors, they could distribute Naloxone," said Wood. Which would add the words “health professional” to the description, and attempt to raise more awareness to the public of the usefulness of carrying Naloxone. "If someone asks for it for themselves, they actually can run it through insurance. There are some insurance plans, even private insurance plans that are covering it 100%. The cash price though can be upwards to about $150," said Tiffany Calas, a Pharmacy Manager for Albertsons. And while administering the medication has proved to be lifesaving in many instances, it doesn't rule out the strict importance of calling emergency crews immediately after. "The best way to compare it is to using an AED or an automatic external defibrillator. You wouldn't defibrillate somebody out of cardiac arrest without calling an ambulance. Naloxone's the same thing. You're reversing somebody's effects of narcotics, which is, respiratory depression, potentially cardiac arrest. They still need to be evaluated," said Schabot. Both opioid antagonists Naloxone and Narcan are available to almost anyone in the form of an injection or a nasal spray at pharmacies. Representative Wood said it's safe enough that the Food and Drug Administration is taking steps now to remove Naloxone from the prescription drug list, and is working to make it over the counter in the next couple of years.